Fan ka man o superhero, invited ka dito! TV5’s top-rated program Kidlat may be ending soon, but the fun does not stop for those who have followed Kidlat’s journey. 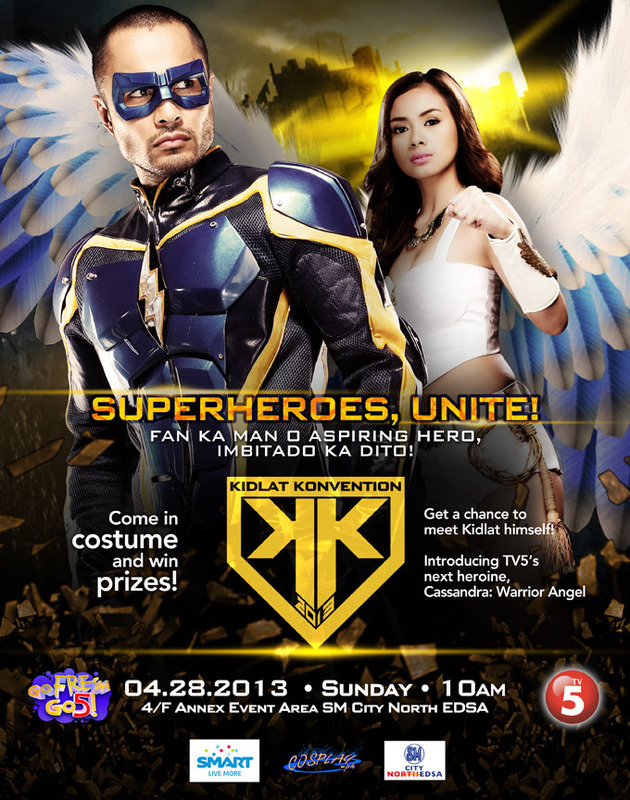 This weekend, Kidlat invites all superhero aficionados to the first-ever Kidlat Konvention happening on Sunday (April 28) at the Annex Event Area of SM North EDSA. In partnership with SMART and Cosplay.ph, Kidlat Konvention will feature the show’s cast, led by Kidlat himself Derek Ramsay. Joining him in this event is Eula Caballero, TV5’s newest superhero and Kidlat’s ally Cassandra: Warrior Angel. The two superheroes will be there to meet and greet fans. Event attendees will enjoy the fun booths and activities in store, which include henna tattoo sessions, photobooths, games, and the much-anticipated Cosplay Competition. Amazing prizes also await those who will come in superhero costume. Take your family and friends to this exciting event and don’t miss out on the chance to hang out with this generation’s coolest superheroes. See you there!